This is specifically about my art making process: I am constantly trying to work out how to balance showing my work, connecting with my audience, and maintaining a public presence online and off with my need to hide, to be private, go away, to withdraw into myself and my work long enough for good, creative stuff to happen. Like all great questions, it seems to grow more important and more complex over time. I think I’ve handled it well so far, the whole point of starting this blog was to set up a sustainable level of sharing while I work. 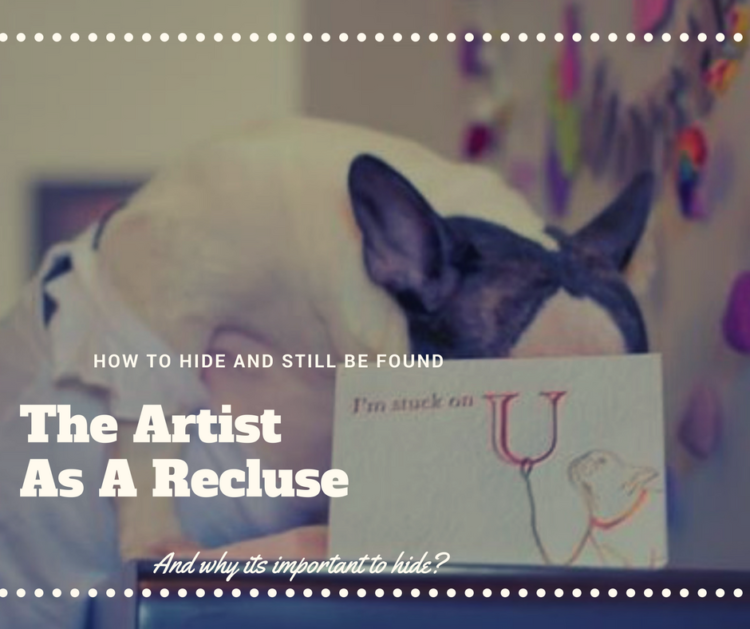 Before this blog, I was basically great at hiding, but not so great at being findable/searchable. When I started this blog in July 2016, the internet, for me, was a place of opportunity. I could reach out or I could hide; I could lurk and I could reveal myself, curated and refined. But even in 1.7 years, the internet has changed, and this question, How do I hide and still be out there?, it keeps popping up, nagging at me.